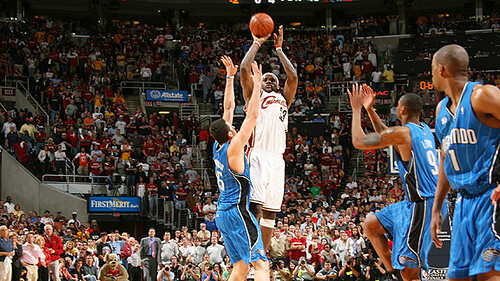 LeBron James the Hero 3 point shot! Bravo! This entry was posted in Sport and tagged 2009, basketball, Cavaliers, Cavs, Cleveland, Eastern Conference Finals, Game, LBJ, LeBron James, magic, NBA, Orlando, The King, Three point, Winner. Bookmark the permalink. 1 Response to LeBron James the Hero 3 point shot! Bravo!